Deeplomatic Recordings EP#038 “Paparazzi Love”, the Spanish duo from Madrid strikes back! 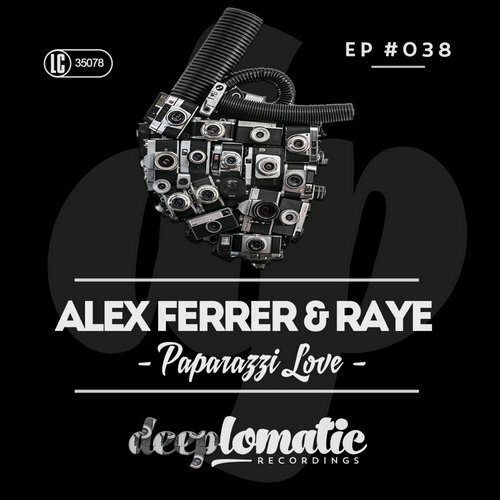 Just two months after their top notch release “In Another Place”, Alex Ferrer & Raye are back with a new EP that combines modern grooves in deep, tech house. The Wait is composed by a sequence of sounds sent like a fishing line to the depths of the psyche, it returns with a portentous melody that winds and wanders until exploding midway thru the piece in a burst of restrained creating a spellbinding track which sounds as good on your stereo at home as it does on the dance floor. Paparazzi Love, the one that gives the name to the EP, is full of melodic emotions filled with delicate grooves and sensitive vocals that will leave you with a shaking sensation deep into your bones.